The end of a 50+ year conflict in Colombia will bring about many changes to the country, and Purdue is playing a major role in co-designing them. 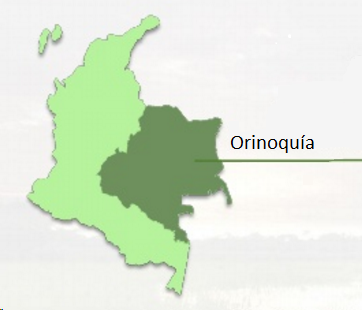 After the peace deal, one of the areas in the country that is expected to have more changes is the Orinoquía region - an area that is comprised of nearly 40% of the Colombian territory and suffered isolation and violence for decades. Currently home for only 4.5% of the Colombian population, the region covers millions of hectares of underused lands and beautiful landscapes that were once deemed too dangerous to live or travel in. With science, Purdue is helping Colombia find sustainable productive activities to develop the Orinoquía region. Since October 2016, Purdue has been working on the initial phase of the Master Plan For The Orinoquía, a long-term strategy that aims to propel social and economic development in the Colombian departments of Meta, Arauca, Casanare, Guainía, Guaviare, Vichada, and Vaupés. The master plan focuses on four development drivers: Sustainable Productive Development, Hydric Resource and Environment, Infrastructure and Logistics, and Land-use Management. The University's efforts are focused on Sustainable Productive Development and referred to as the Orinoquía Initiative. Their goal is to help identify what aspects of the Orinoquía's agriculture and tourism potential should be developed to promote economic growth while preserving the environment and developing social harmony. The team of Purdue researchers are working on agriculture and tourism, key sustainable productive systems for the Orinoquía region. They are developing analytical tools to help identify what agriculture or tourism activities have the most potential. Agriculture. On the agriculture side, one of the long-term milestones of the Master Plan is to reach 3.3 million hectares in cultivated zones by 2030, about 92% of the region's total area available for agriculture. 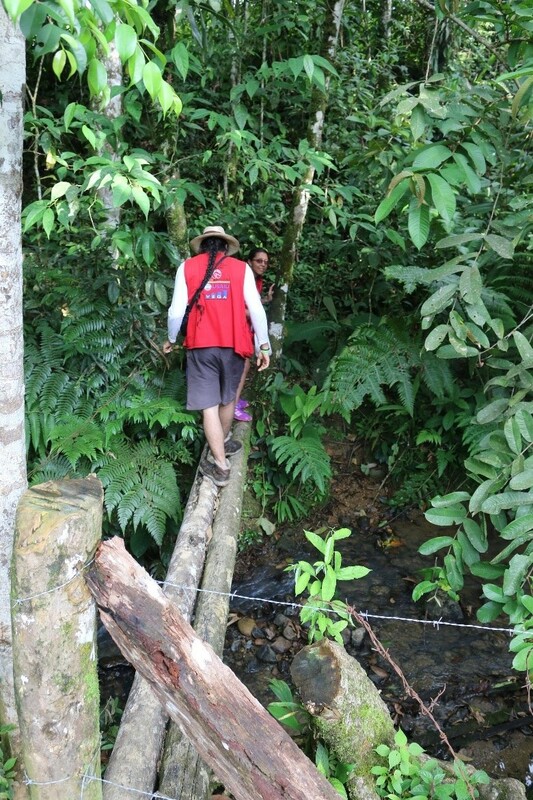 The National Planning Department (DNP) believes the Orinoquía could become an agricultural power in crops like plantain, cacao, soy, oil palm, rice, and corn, already existing in the area and spanning 0.7 million hectares. According to the Master Plan, "cacao and plantain crops have outstanding yields at a global level" and "rice and corn crops currently surpass national yields." Purdue's efforts will help determine how to best use those lands to provision regional, national, and international markets. The lead researcher for the Agriculture component of the Orinoquía Initiative and Professor of Excellence in International Entrepreneurship, Dr. James "Jess" Lowenberg-DeBoer, says "there many opportunities for small and medium enterprises including oil palm, cashews or cacay nuts, dairy, and vegetable and fruit production." The fruit, vegetable and local food production will serve agribusinesses, hotels, and tourism operations in the Orinoquía that tend to be supplied from Bogotá, as well as providing food for local residents. However, none of these ideas is a decision yet, as they are still early in the analysis process. 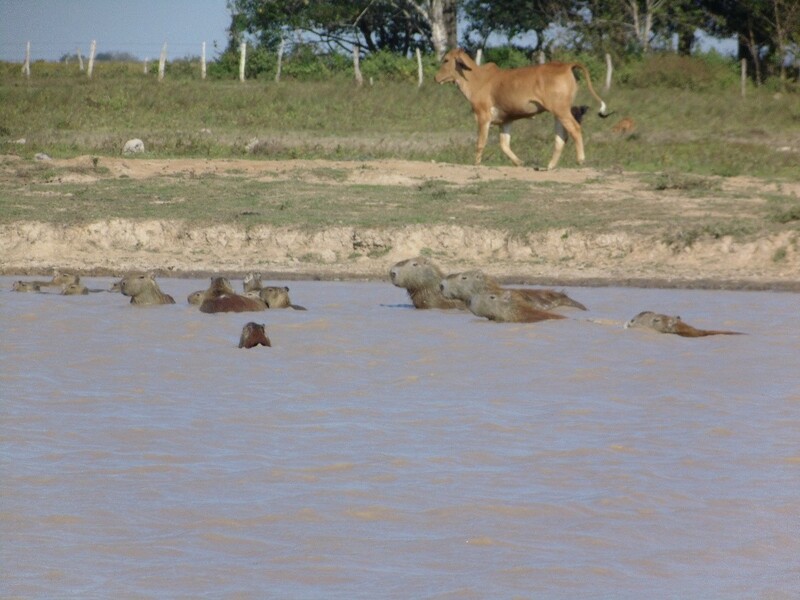 Capybara swimming in an estero with a calf in the background. Wildlife and cattle co-exist very comfortably on the traditional ranches in the flooded savannah. Tourism. On the tourism front, the government's goal is to position the Orinoquía as a national and international destination. Beautiful sunsets and landscapes, along with activities like bird watching, horse riding, and hiking; and national parks like La Macarena and Caño Cristales will surely attract national and foreign visitors. Estimates by Ministry of Commerce, Industry, and Tourism predict that Colombia will reach 976,000 international nature-based tourists by the year 2026, hence the importance to maintain the area as special and unique as it is today. Dr. Jonathon Day, lead researcher for the Tourism component of the Orinoquía Initiative and Associate Professor of Hospitality and Tourism Management, has been in the tourism industry for 30 years. He has seen the consequences of tourism done wrong and has some suggestions to ensure good outcomes from increasing numbers of visitors: "Ensuring money stays in the community, that the appeal of the destination is not destroyed, and that the local culture of the destination is not lost are important goals for the region as it increases its tourism marketing." 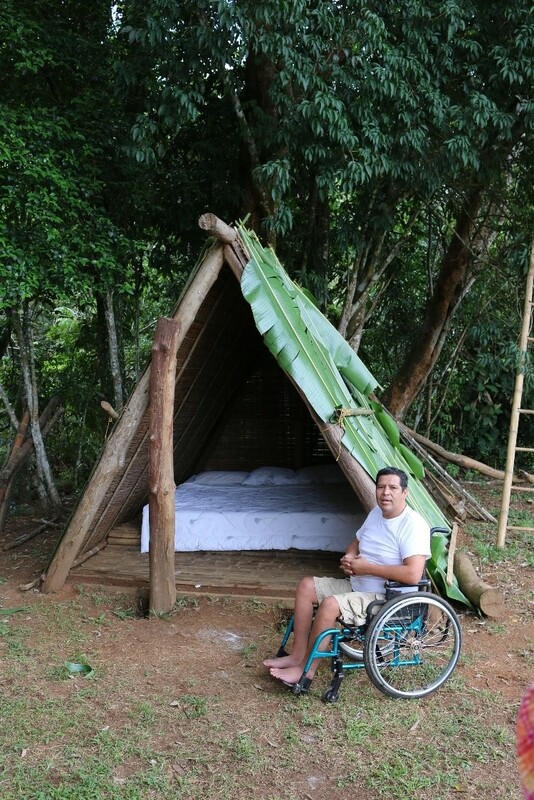 For this reason, small-scale activities in eco-tourism, nature-based tourism, and agritourism will likely be the first types of tourism to come into the area. "My hope for the Orinoquía would be that, as access becomes easier, people still retain those special elements of their culture, and that in 15 years, these unique locations are in just as good quality as they are now," the Professor concludes. Current nature-based tourism products in the San Juan de Arama region (Meta). Professor Lowenberg-DeBoer describes the challenges he has faced in the development of this project. First, he says that sixteen months is a short time for this part of the project, but at the same time, recognizes its results are urgent in Colombia: "They have five million displaced people that need economic opportunities, so they need to move forward quickly." Second, agricultural and tourism data is sometimes hard to come by in Colombia, particularly in the Orinoquía. One example of this issue is the number of meteorological stations in Casanare: "There are only three places where they actually have data on rainfall and other climatic characteristics." Finally, there is little history of economics and business analysis for this area. "Colombian institutions have done a pretty good job at some of the agronomic, horticulture, variety-choice, soil-management type of research but there has been very little in the way of economics and business." The analytical tools developed will help businesses, social agencies, and the government at all levels (national, departmental, and municipal) make a better assessment about the social and environmental costs of an activity. In knowing whether an activity is contributing towards sustainability or not, they will be able to make better-informed decisions and prepare to produce the greatest benefits. Young cowboys saddling their horses for a day's work. 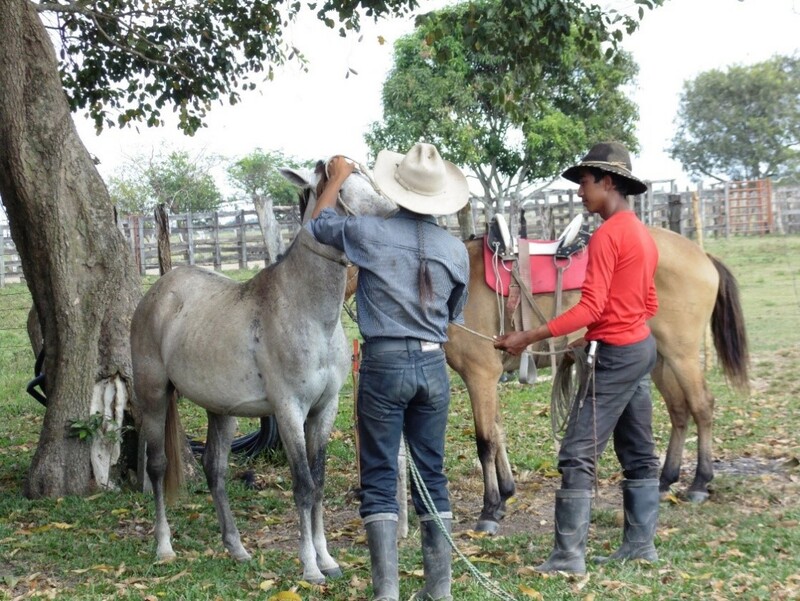 The llanero cowboy culture is still very strong in both the flooded savannahs and the Altillanura. The tools are being designed through data collection and conversations with local people. Faculty members working on the Agriculture component of the Initiative (Professors Lowenber-DeBoer, John Sanders, and Paul Preckl), the Tourism component (Professor Day), and students have made several visits to Colombia. They are working closely with universities and several parts of the national government. "In Colombia, our main partner is La Universidad de los Llanos. They are particularly focusing on the environmental and social aspects of the development opportunities that we identify," says Professor Lowenberg-DeBoer. Professor Day explains the current progress and the plans for the following months: "We are working with the DNP and have spoken with National Parks and the Ministry of Tourism. As we move into the summer season, we will meet with local community leaders throughout the Orinoquía. Throughout the summer, we will be developing and gathering the materials we have so that we can finalize things before the end of the year." After the tools are designed, Purdue will provide training for government planning staff on the use of the tool, then identify and propose between 8 and 10 pilot projects in total, and develop pilot projects that will give the type of results expected by those tools. All three deliverables (the tools, training, and pilot projects) are due in December, 2017. Purdue's assistance will help Colombia make decisions based on science, avoid the mistakes others made in the past, and work towards a sustainable, yet prosperous, Orinoquía. As Suresh Garimella, Executive Vice President for Research and Partnerships and Principal Investigator for this project, expressed in a previous interview: "[In 20 years,] the dream is that we will have tried various science led experiments and that there will be more successes, than failures so they can become the engine for new developments. There is much potential in the region and the country; my dream is irrelevant, this must be the dream of all Colombians."